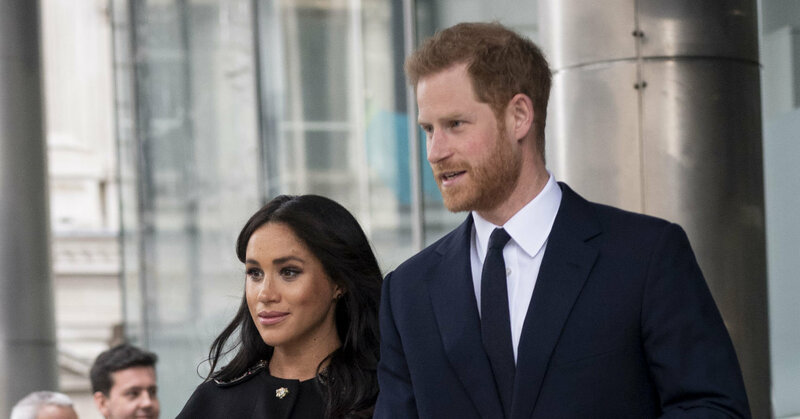 Meghan Markle and Prince Harry paid their respects to the victims of the New Zealand mass shooting that left at least 50 people dead. The Duke and Duchess of Sussex brought flowers to the New Zealand House in London on Tuesday. They also signed a book of condolences. The royal family condemned the terror attack shortly after the shootings at two mosques in Christchurch, New Zealand, last Friday. 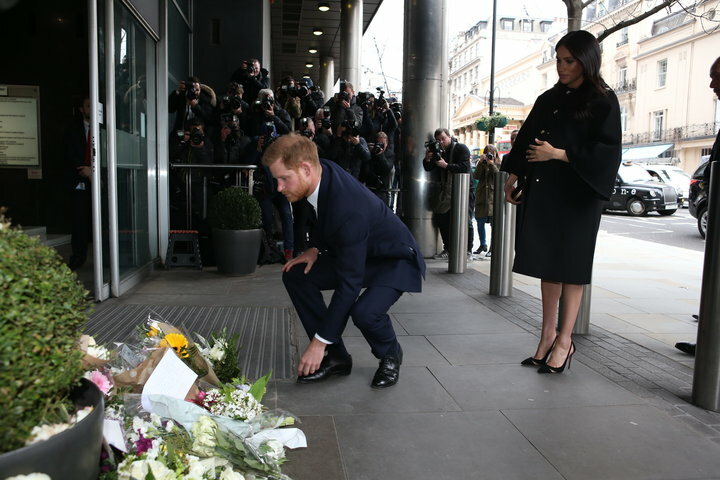 Meghan, Duchess of Sussex and Prince Harry, Duke of Sussex sign a book of condolences on behalf of the Royal Family at New Zealand House on March 19, 2019, in London. Harry leaving flowers outside the house as Meghan looks on. “Our hearts go out to the families and friends of the people who lost their lives in the devastating attack in Christchurch,” says a statement issued by Kensington Palace on behalf of the Duke and Duchess of Cambridge and Duke and Duchess of Sussex. Queen Elizabeth II, Prince Philip, Prince Charles and Camila, Duchess of Cornwall issued their own statements also speaking out against the shootings. 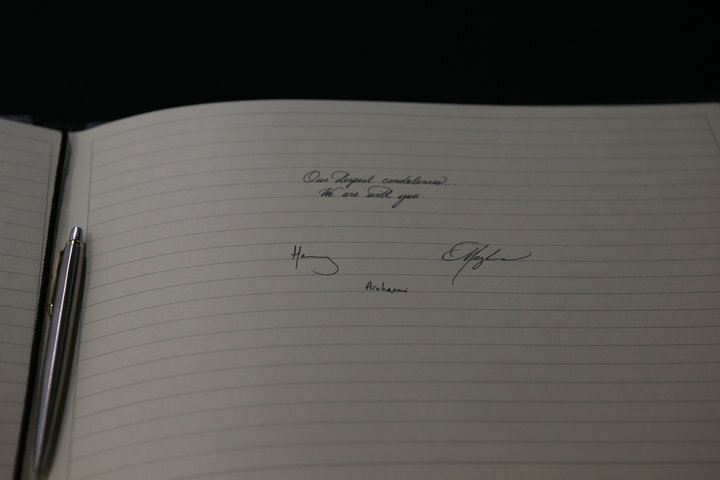 Harry and Meghan’s signatures in the book of condolences. The former “Suits” actress in front of New Zealand House. 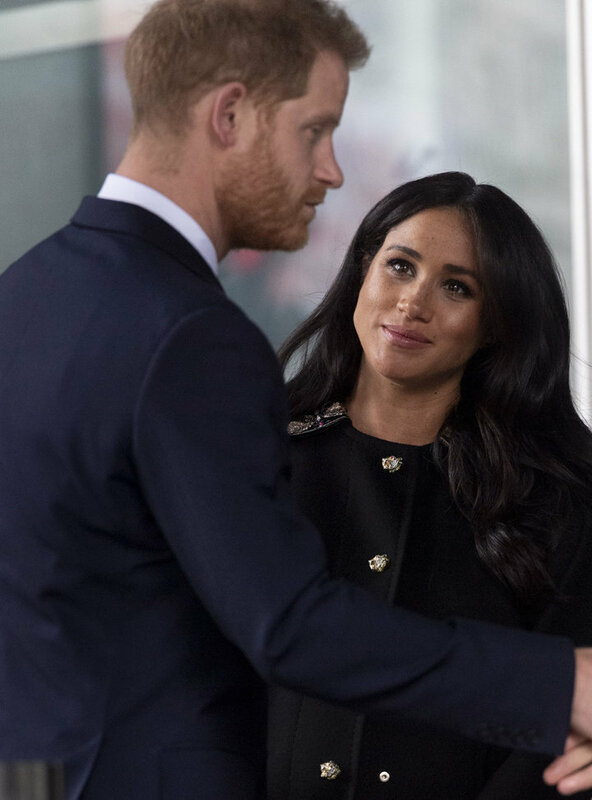 Meghan looks up at Harry during the stop on Tuesday. Harry and Meghan recently visited New Zealand during a royal tour that also included Australia, Fiji and Tonga in October. Though they did not visit Christchurch, the duke and duchess did make stops in Auckland and Wellington, New Zealand.